Elected to the Thirty-fifth Parliament for East Metropolitan Region on 14 December 1996 for term commencing 22 May 1997. Re-elected 2001, 2005, 2008, for terms commencing 22 May. Re-elected to the Thirty-ninth Parliament for North Metropolitan Region on 5 April 2013 for term commencing 22 May 2013. Resigned 10 March 2015. Parliamentary Secretary to the Minister for Community Development; Women's Interests; Seniors and Youth; Disability Services; Culture and the Arts: 20 March 2001 - 21 September 2004. Parliamentary Secretary to the Minister for Health: 20 March 2001 - 27 June 2003. Parliamentary Secretary to the Minister for Tourism; Small Business; Sport and Recreation; Peel and the South West: 27 June 2003 - 21 September 2004. Minister for Local Government and Regional Development: 21 September 2004 - 10 March 2005. Minister for Heritage; the Kimberley, Pilbara and Gascoyne; Goldfields-Esperance: 21 September 2004 - 10 March 2005. Minister for Education and Training: 10 March 2005 - 13 December 2006. Minister for Youth: 13 December 2006 - 2 March 2007. Minister for Government Enterprises; Multicultural Interests and Citizenship; Minister Assisting the Minister for Planning and Infrastructure: 13 December 2006 - 23 September 2008. Minister for Local Government; Racing and Gaming; Minister Assisting the Minister for Goldfields-Esperance; Youth: 2 March 2007 - 23 September 2008. Shadow Minister for Public Sector Management: 22 May 1997 - 10 February 2001. Shadow Minister for Multi-cultural and Ethnic Affairs: January 1998 - 10 February 2001. 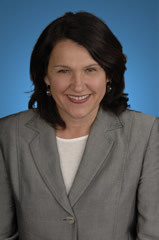 Shadow Minister for Commerce and Small Business; Government Accountability; Tourism; Training: 24 September 2008 - 21 February 2011. Shadow Minister for Commerce and Small Business; Training: 21 February 2011 - 26 January 2012. Shadow Minister for Mental Health: 21 February 2011 - 8 April 2013. Shadow Minister for Training and Workforce Development: 27 January 2012 - 8 April 2013. Member, Standing Committee on Ecologically Sustainable Development: 26 June 1997 - 21 March 2000. Member, Standing Committee on Estimates and Finance Operations: 21 March 2000 - 21 May 2001. Member, Joint Standing Committee on Delegated Legislation: 28 June 2001 - 21 October 2004. Member, Standing Committee on Estimates and Financial Operations: 4 June 2009 - 21 May 2013. Member, Joint Standing Committee on Delegated Legislation: 23 May 2013 - 10 March 2015 [Deputy Chair:10 June 2013 - 16 October 2013]. Member, Parliamentary Services Committee: 22 May 2013 - 10 March 2015. Born 9 January 1958, Split, Croatia. Arrived in Western Australia 1963. (First woman born in a non-English speaking country to be elected to the Western Australian Parliament). BA, Dip. Ed., Grad.Dip. Ed. Admin. Company Director and Consultant. North Metropolitan Region covers 14 districts; Balcatta, Butler, Carine, Churchlands, Cottesloe, Girrawheen, Hillarys, Joondalup, Kingsley, Nedlands, Ocean Reef, Perth, Scarborough and Wanneroo.